What an eventful start to our trip to Tasmania. Our flight from Bundaberg was scheduled to leave at 12:35 pm but was delayed and didn’t end up leaving until 2:15 pm. Consequently we arrived in Brisbane at 3:15 pm with our flight to Launceston scheduled to leave at 5 pm. However, when we attempted to check in for our next flight we were quickly informed that our flight to Launceston had been cancelled due to fog… We were not happy. Even though we had booked the entire itinerary through Qantas their policies did not apply to our cancelled flight as it was with Jetstar. 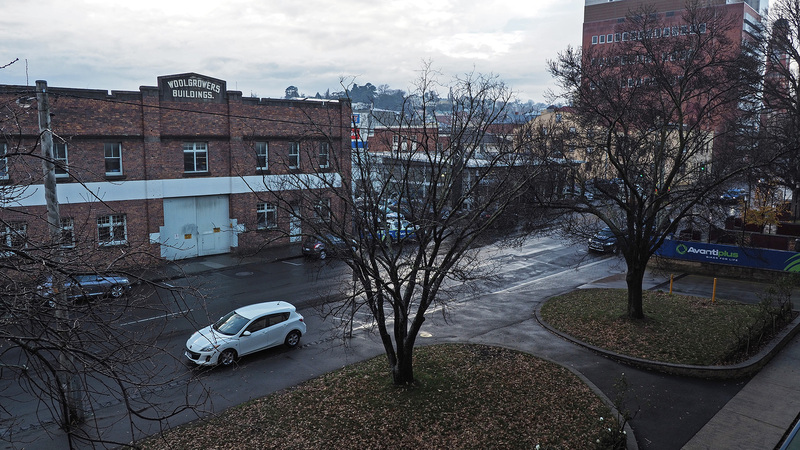 Long story short, we had to book and pay for a night’s accommodation in Brisbane but we were able to fly to Launceston the following day via Melbourne. We were also able to extend our trip by a day to make up for the day lost due to the flight cancellation so it all worked out in the end. However, wherever possible we will only fly with Qantas or Virgin on domestic flights in the future. Apart from not providing us with temporary accommodation the other major issue we had with Jetstar was that they do not check your luggage through to your final destination when flying domestically. This is a huge pain when travelling with infant items in addition to general luggage. Despite the set back we arrived in Launceston and were greeted with two pleasant surprises. The first pleasant surprise was that our hire car was exactly the same car that we drive at home. This made all the driving parts of our trip that much more comfortable, especially when driving with our 20 month old daughter. 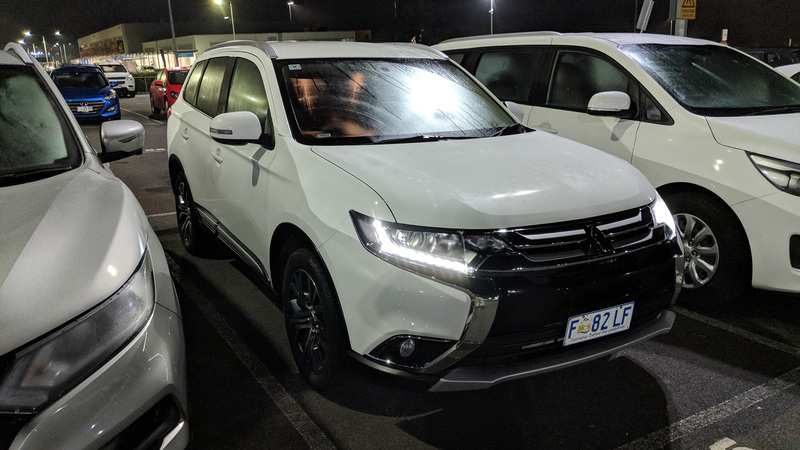 Our hire car, a Mitsubishi Outlander. 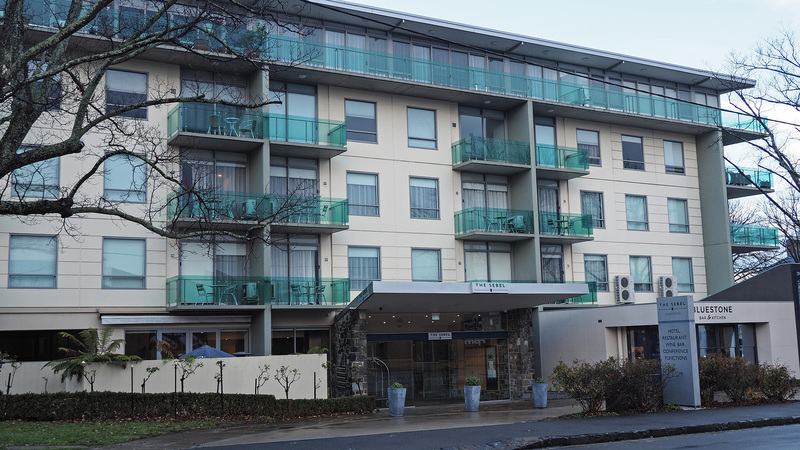 The second pleasant surprise was the warmth and friendliness that we received at our accommodation, The Sebel Launceston. They were amazing! Not only did they waive all of the fees normally associated with changing a booking at the last minute, they were also very helpful with providing us with all sorts of information. In addition they gave our daughter a free Teddy Bear when we checked out which she absolutely loved. Every interaction we had with the staff at this hotel was overwhelmingly positive (the breakfast I had here was amazing too!). 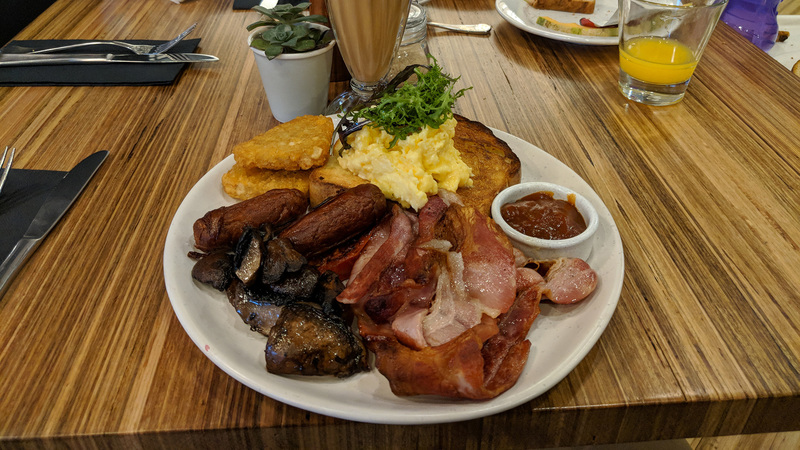 Breakfast at the Sebel Launceston. So in short, despite a difficult two days of travelling our first impressions upon arriving in Tasmania were overwhelmingly positive. The next day would involve driving to Cradle Mountain for a three night stay inside the national park. I couldn’t wait!